Optional: cayenne powder, garlic powder, chili powder – really any way you want to spice it up. 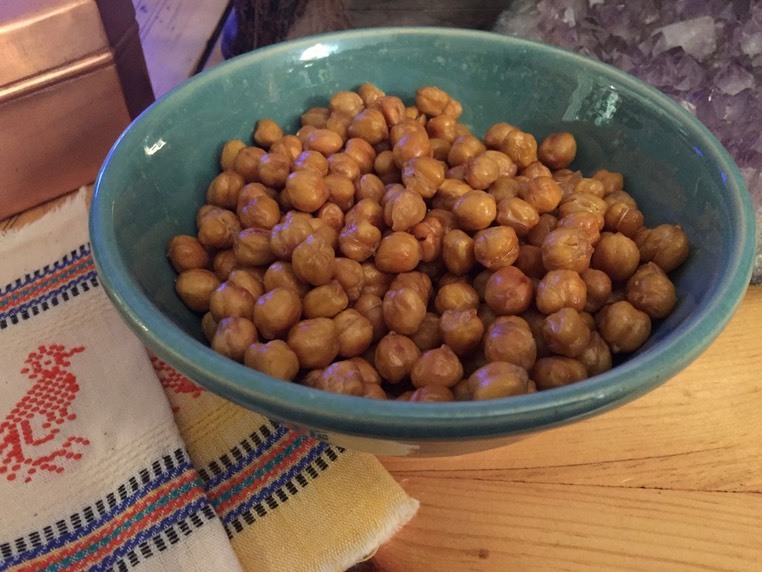 Drain chickpeas in a colander and spread on a clean dishtowel to dry for about 10 minutes. Roll them around a bit. Put chickpeas in a mixing bowl, add oil, and salt and stir to combine. Spread on a baking sheet and roast for 30 minutes. Return to oven and bake another 40 minutes.